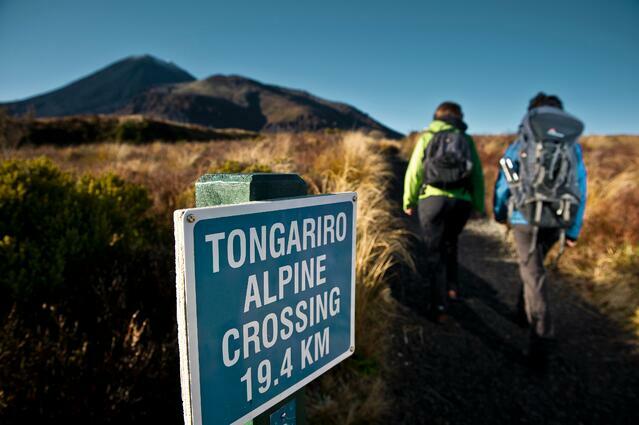 The Tongariro Alpine Crossing is a 19.4 kilometre day hike traversing a beautiful and wild volcanic landscape. It is often described as New Zealand’s greatest one day walk. It has become very popular with around 130,000 people enjoying the hike during summer months. Many tourists who hike the Crossing describe it as one of their most memorable New Zealand experiences. The hike is free of charge, although taking a shuttle will cost around $40 from Whakapapa or National Park Village. 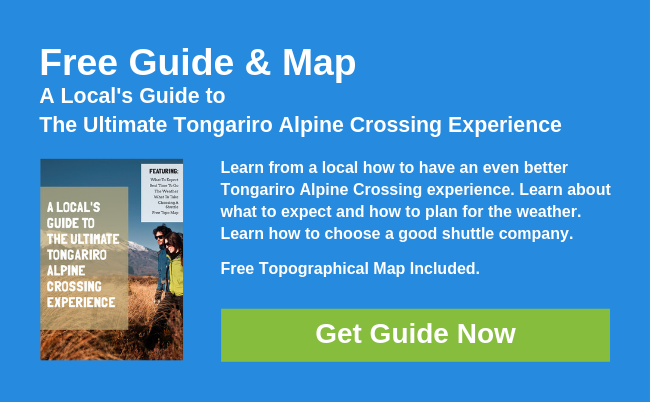 Where's the Tongariro Alpine Crossing? The Tongariro Alpine Crossing is located in the Tongariro National Park. The Park is located in the central North Island of New Zealand. The hike starts at the end of the Mangatepopo Road off State Highway 48. The closest village is Whakapapa. The hike finishes at the end of the Ketetahi Road off State Highway 46. How to hike the Crossing? The hike is point to point. By road the start and finish are about 27km apart. Most visitors take a shuttle from nearby towns and accommodation providers to the Mangatepopo start and hike over to the Ketetahi Road end. A small percentage of people hike the track in the opposite direction. From Ketetahi to Mangatepopo. Doing it this way will add a further 360m of climbing to the hike. It will also mean walking against the flow of hundreds (sometimes thousands on a fine day) of people. There are a number of good reasons the Crossing has become very popular. 1. The scenery on a fine day is spectacular. 2. The landscape is unique in New Zealand. It can feel as if you’re on a different planet. 3. There's a lot of variety. The track, vegetation, views and terrain keeps changing. Who's the Tongariro Alpine Crossing for? Anyone who enjoys spectacular New Zealand nature and scenery. Any active healthy person. Who's the Tongariro Alpine Crossing not for? Obviously it’s not a good idea for those who can’t hike 20 kilometres. There are no short cuts off the mountain. Those who are in poor health shouldn’t do it! For those looking for a remote hiking adventure. The Crossing can get very busy. The weather in and around the Tongariro mountains can be extreme and very changeable, even during summer months. You do need to plan well for this hike. You’ll need good gear, food and water. Any fine day in Tongariro can be very busy. To avoid disappointment it is best to book shuttles and accommodation in advance.